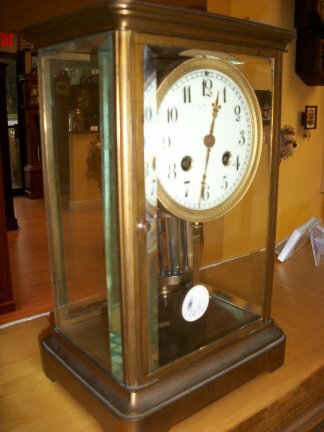 8 DAY MANTLES-1696-FRENCH CRYSTAL REGULATOR WITH ACTUAL MECURY IN PENDULUM.8 DAY TIME AND STRIKE WORKS. 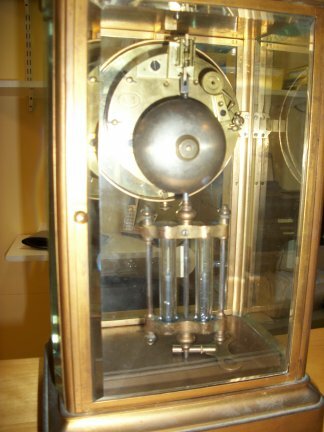 This is a French made crystal regulator. 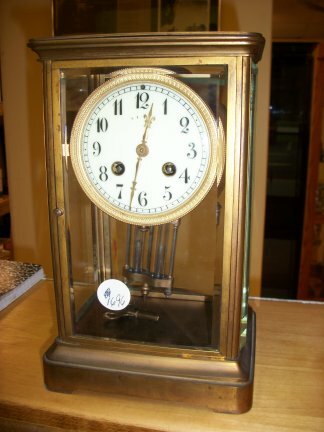 It has an 8 day time and strike movement on a bell. 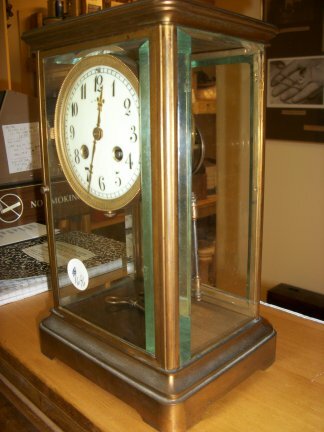 It is made of brass and beveled glass on all sides. Closer view of clock from the side. The face is porcelain. Closer view of clock from the other side. Closer view of clock from the back. The pendulum has actual mercury in the glass tubes.